The LG-EXTREME KIT is one of our Top Selling Physical Therapy Combination Complete Systems. 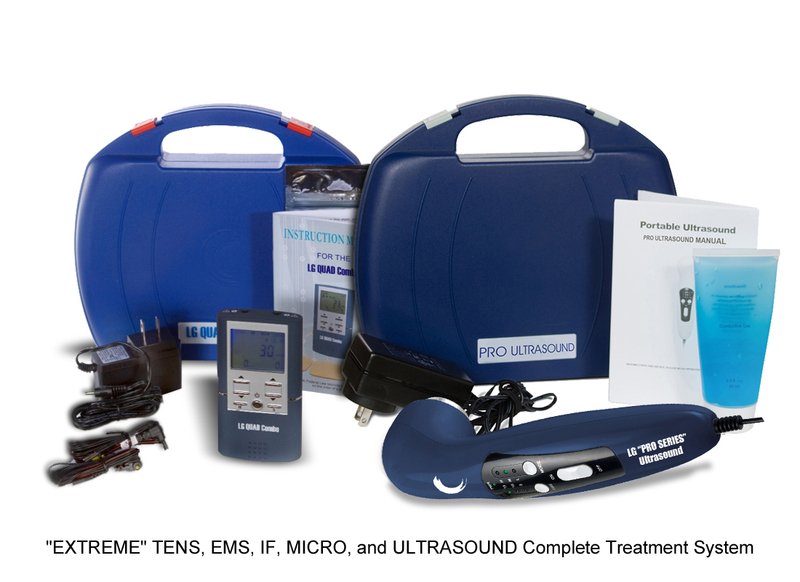 The LG-EXTREME KIT consists of our "LG-QUAD" Combo 4 in 1 TENS Unit, Muscle Stimulator, Microcurrent, and Interferential Unit and our "PRO SERIES" Clinical Ultrasound Unit. BRING THE PT OFFICE TO YOUR HOME! 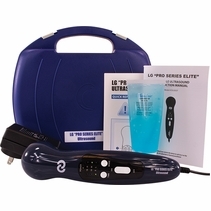 Relieve Pain, Rehabilitate, and Heal with the LG-EXTREMEKIT System. This LG-EXTREMEKIT combines the Clinical Version of �PRO SERIES� Ultrasound Therapy and our #1 LG-QUAD 4 in 1 Combo Unit in one Complete Kit. Now you can receive almost every available electrotherapy device in one compact, portable unit. The 5 different electrotherapy therapy treatments will provide you with a FULL range of modalities that are available for pain relief, physical rehabilitation, and recovery. NOW 3 TIMES STRONGER. PROFESSIONAL THERAPY RIGHT IN YOUR HOME. 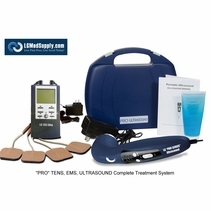 Bring the office to the home with the LGMedSupply "PRO SERIES" Ultrasound Therapy Unit. The LG "PRO SERIES" Ultrasound Unit has three times stronger frequency sound waves than most other portable ultrasound units on the market. The LG "PRO SERIES" Ultrasound Unit is made with the highest quality components and is FDA approved. The LG "PRO SERIES" Ultrasound Unit has a frequency of 1Mhz - the most trusted frequency for pain relief. The LG "PRO SERIES" Ultrasound Unit is simple and easy to use. Plug in the unit. Place the included ultrasound gel on the treatment area. Choose from 3 settings - low, medium, or high. 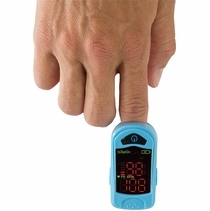 Use the ultrasound probe in circular motions for up to 20 minutes at a time. Ultrasound therapy is used for conditions such as acute injuries, chronic pain, tendon injuries or pain, bursitis, arthritis, wound care, exercise recovery, and more. Ultrasound speeds the healing and recovery process by repairing scar tissue, reducing inflammation, improving flexibility and increasing circulation. Whether you receive ultrasound therapy at a doctors office or home, many will agree that treatment on a daily basis will provide the best best results. Feel free to read testimonials on the bottom of this page to see what our customers are saying about this unit. The LG "PRO SERIES" Ultrasound Unit has helped thousands of customers improve their quality of life. The LG "PRO SERIES" Ultrasound Unit comes with everything you need for immediate use including a carrying case, ultrasound head probe, ultrasound gel and an AC adapter. Remember, the goal of ultrasound therapy is deep penetration into the tissue. You will feel very, very little heat on the surface of your skin. With consistent use, you will notice a a significant improvements. Ultrasound Therapy will increase blood flow, reduced swelling and inflammation, improve flexibility, and break up scar tissue. Use our ultrasound once a day for a 15 minute interval per treatment area. Recover quickly and get back to your daily routine! The LG "PRO SERIES" Therapeutic Ultrasound device generates pulsed high frequency sound waves (1MHz) that are transferred to specific areas with a sound-headed probe. The Pulsed Sound Waves travel deep into the tissue generating vasodilation, which helps increase the blood flow to the treated area. Most patients will feel nothing at all DURING treatment, while some may feel a very slight warmth. 1. Apply a little ultrasound transmission gel (included) to the treatment area. 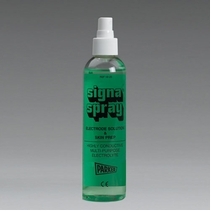 The gel acts as a coupling substance and ensures effectiveness. Make sure to move the Ultrasound Probe in SLOW CIRCULAR MOTIONS. 2. Put the power switch to the ON position to turn on the unit. The power indicator light and the "L" indicator will light up, indicating that it is on standby mode. 3. Press the "MODE" button to select the Treatment Intensity. There are 3 levels - LOW, MEDIUM, and HIGH. Each level has a light indicator. 4. The device offers 3 treatment times - 5, 10, or 15 minutes - each time corresponds to a light indicator. Simply press the "TIME" button to adjust the treatment time. 5. The device has a load detect system for safety. When you put the treatment "probe" on your body, the device will begin to send ultrasound energy. It will stop automatically when contact is poor. 6. The device has a temperature protection function. When the unit exceeds a certain temperature, it will cease to function, preventing you from harming or burning the tissue. 7. Remember to put switch to the OFF position when you are finished using your unit. Comes complete with device, ultrasound gel, AC/DC adaptor hard carrying case, quick start guide and instruction manual. Ultrasound Units can be used with many of our other devices, such as TENS Units, Muscle Stimulators, Interferential Units, Microcurrent Units, Galvanic Units, Russian Muscle Stimulators, Deep Penetrationg Light and Heat Therapy. ALL FOUR TREATMENT MODALITIES in ONE DEVICE! The LG-QUADCOMBO includes a TENS Unit, Muscle Stimulator, Interferential Unit, and Microcurrent Unit in one unit. The LG-QUAD COMBO 4 in 1 Unit provides you with almost every available electrotherapy modality to treat and heal many conditions. THE LG-QUADCOMBO comes with batteries, AC Adapter, and Belt Clip for home use and travel. It also comes with a 3 Year Unmatched Warranty. 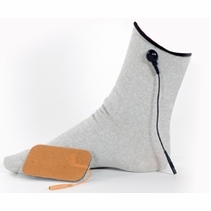 Simply place the electrode pads on or around the treatment area, and turn on the unit. 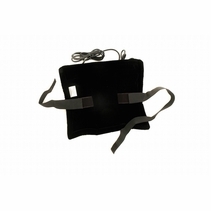 Select the therapy that you would like to use - TENS, Muscle Stimulator, Interferential, or Micro-current Unit. Adjust the Pulse Width, Pulse Rate, and Intensity to you're liking. 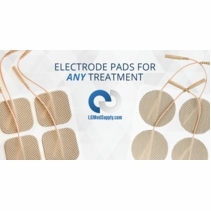 Experiment or use our electrode chart to find the best electrode placement for you. With 4 different therapies in one, you are certain to find the most effective treatment. With this unit, you can't miss! ORDER THE LG-QUADCOMBO 4 in 1 Device and save time and money by bringing the office to your home. 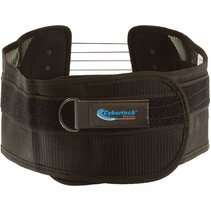 Rehabilitate with 4 Treatment Modalities in ONE PORTABLE UNIT! Our LG-QUADCOMBO is INSTOCK and AVAILABLE FOR FREE SHIPPING. Comes with a 3 Year Warranty and everything needed for immediate use. More Info on the full range of treatments. 1. TENS Units disrupt the pain cycle by delivering a different, non-painful sensation to the skin around the pain site. In essence, it modulates the way we process the pain sensations from that area. TENS closes the pain gate, so to speak. Depending on the frequency the TENS unit delivers, the electrical stimulation can also trigger the body to release endorphins. Endorphins act as natural painkillers, and help promote a feeling of well-being. 2. Electronic Muscle Stimulators have been thoroughly proven to help with physical therapy where nerve and muscle damage has occurred. Many therapists highly recommend the use of these units when their patients routinely complain of sore muscles during and after exercise workouts, or have some form of nerve damage that prevents them from getting the most out of life. Muscle stimulators also help with toning as well as the after-pain associated with strenuous weight training exercises. In this way the electronic muscle stimulators can help the body building enthusiast to better control the level of pain that is felt after a workout. Some people with problem areas such as sore shoulder muscles can use the stimulators to help alleviate the pain before the next session of exercising. 3. Micro-current Therapy produces minute electrical signals like those naturally occurring when the body is repairing damaged tissues. By applying similar electrical currents, the healing process is enhanced. Microcurrent Therapy is often recommended in cases involving soft tissue inflammation or muscle spasm. Since Microcurrent Therapy mimics the body's electrical fields it is helpful in relieving pain and stimulating the healing of soft tissues. 4. Interferential Current Therapy is essentially a deeper form of TENS. In essence, IFC modulates a high frequency (4000 Hz) carrier waveform with the same signal produced by a TENS unit. 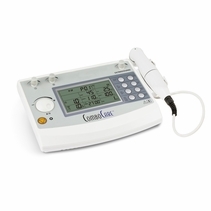 The high frequency carrier waveform penetrates the skin more deeply than a regular TENS unit, with less user discomfort for a given level of stimulation. Deep in the tissues, the carrier waveform is cancelled out, resulting in a TENS-like signal deep under the skin. 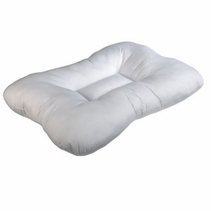 Anecdotal evidence suggests that the IFC units may be useful for patients who have not had relief from TENS. Interferential stimulation is concentrated at the point of intersection between the electrodes. This concentration occurs deep in the tissues as well as at the surface of the skin. 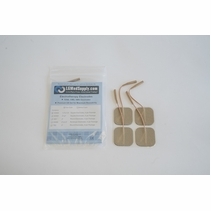 Conventional TENS and Neuromuscular stimulators deliver most of the stimulation directly under the electrodes. Thus, with Interferential Stimulators, current perfuses to greater depths and over a larger volume of tissue than other forms of electrical therapy. As you can see, there are unique benefits to each type of therapies. All of the therapies on the LG-QUADCOMBO are helpful in treating a large variety of conditions. The goal is to find the best therapy or therapies so you can achieve your personal goals to enhance the overall quality of life. Timer Adjustable, 1 to 60 minutes or constant. Adjustable in 1 minute each step from 1 to 60 minutes. Muscle Stimulators & Ultrasounds Units. We are extremely proud that over the last 10 years our TENS Units, Muscle Stimulators, and Ultrasound Units have helped over 300,000 patients. Our top quality manufactured products help patients to achieve their goals in to resume a higher quality life. We understand that "Pain Really Hurts" and that you are looking for a real solution. There are other companies out there, but VERY few that manufacture units with high quality components. When you order from us you can be assured that you will receive a brand new, high quality, cost effective FDA approved device. We invite you read REAL customer reviews under each of our products to here how our products helped achieve their goals. We also invite you to fill out a survey as we participate in a program called Google Trusted Stores. This helps us to better understand our customers needs and get feedback on how we are doing and keep our ratings high on our products and service. And for participating you receive free purchase protection from Google Trusted Stores. We back all our products with a 100% Satisfaction Guarantee and an Unmatched Minimum Two Year Full Warranty. Our items are always in-stock and ship directly to you daily Monday to Friday. 5 I have used the Quad Combo unit for a year now, and I've had great results. I don't have to go to physical therapy anymore. I can do the same treatment in my own home without making an appointment. I'm glad i have this unit at home. 5 I have medicare. I suffered muscle atrophy due asphyxiation and inherent coma 2 years ago. I have never been able to gain back full strength since. Can you help with special billing Please advise. Thanks. 5 I found this company when my insurance company declined to pay for a TENS unit for me. I could have bought it from them for which was outrageous! Did my research what would benefit and help me with the diseases I suffer from and found these units were exactly what I needed and at a lower price than just the TENS unit from my insurance. I LOVE my ultasound unit; used for5 minutes on low on my right hand joints and have had no pain for 2 days now, even when lifting heavy items. The QUADCOMBO is wonderful to have the ability to choose which setting for treatment is awesome since pain may vary from day to day. I was diagnosed with Psoriatic Arthitis about 7 years ago and the pain of the disease has been the biggest huddle to try to overome. Many doctors found it unbelieveable that I was in that much pain. But I spent one full year with no ability to walk, write my name, dress myself, and several other common personal issues. It was then my doctors listened but their fix was pain meds, which helped some but not all. I started going to pain doc last year and he has introduced me to the "gadgets" sure wish I had had them then, life could and probably would have been much better. Stop being a skeptic and take the plunge to a life that can be better! I so happy I did.